When reflecting on my twenty year teaching career, I often ask myself another question: Have I made a difference? My years as a teacher seem to be split equally between my “PT (Pre-Tech)” and ” WT (With-Tech)” Eras. During my first fifteen years, my classroom was traditional. Desks, rows, texts, tests, notes, worksheets and novels. Teacher directed. I don’t believe I uttered the word “innovative” once during those fifteen years in my class. However, I now realize that I was part of something incredibly innovative. 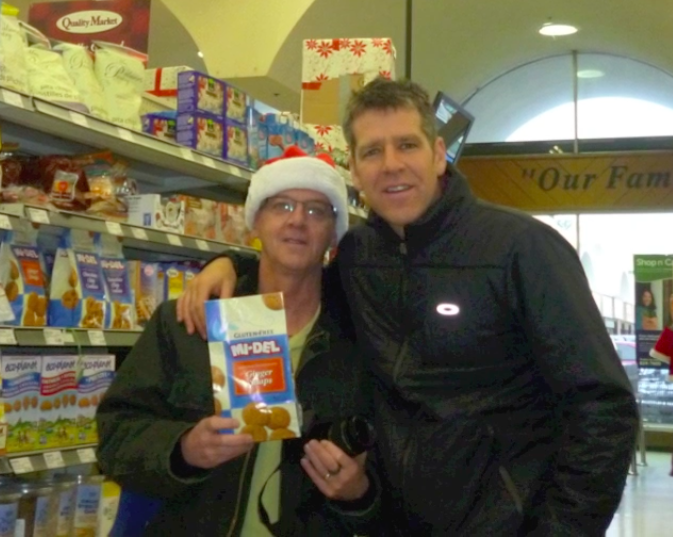 Many years ago, a colleague and friend, Gerrard Smith started a tradition that has spanned almost three decades. 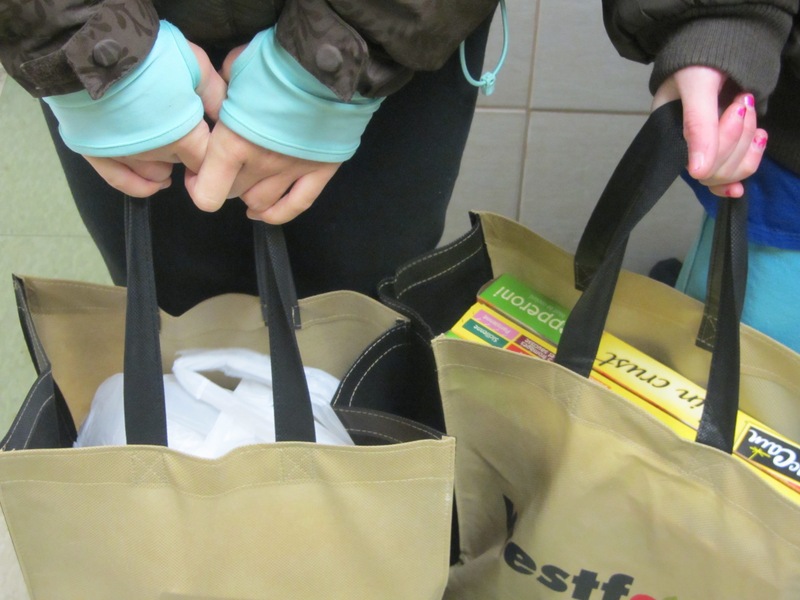 The idea was simple: to host a yard sale with his grade 6 students, take them shopping to a local grocery store and then hand deliver the food they purchased with their profits, just before Christmas to our local Shelter House. Mr. Smith’s idea, a willingness to take a risk, think outside of the box and try something different was completely innovative. I have been forever grateful that he asked my class and I to join him 20 years ago. This simple activity allowed me to do what I most desired as a teacher: to truly make a difference. For three weeks we’d leave the confines and routines of our classrooms, texts and tests and let our passions prevail. Students would create posters and write and present jingles and advertisements. They collaborated to discuss budgets and much communication about homelessness and poverty ensued. Critical thinking, problem solving and cooperation about set up and running of the school yard sale was a must. 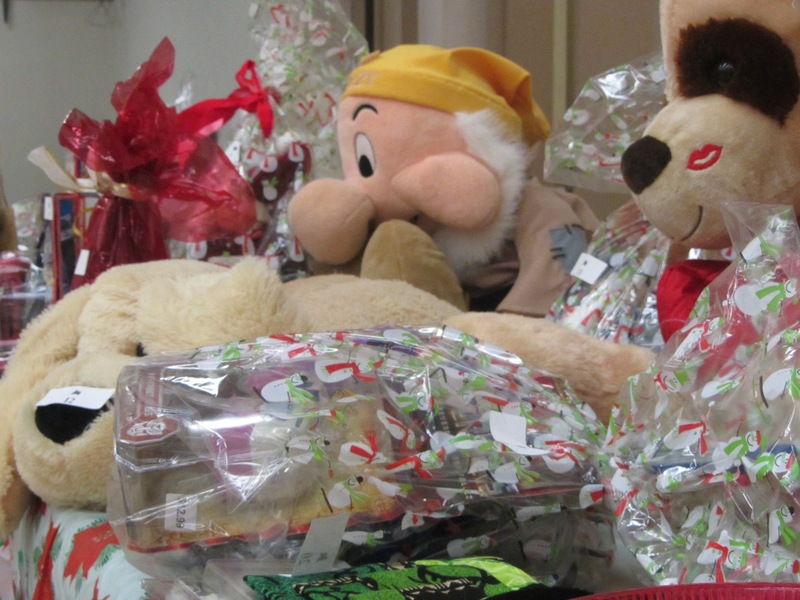 Our annual tradition always brought a sense of joy and excitement and made Christmas extra special for the students, teachers and parents of St. Elizabeth School. This experience was the one that I looked most forward to and the one that each of our students would always remember, even years later, when they came back to visit. This authentic learning experience was the one our kids cherished most and arguably the one they learned the most from. Fast forward many years, to the last year that Mr. Smith and I completed the Christmas journey together with our classes; the year he retired. This was my second year into the “With-Tech Era” of my teaching career. The look and feel of my classroom had changed and evolved. It was one where risk and change was embraced, collaboration a given, questions encouraged and innovation commonplace. As a gift to Mr. Smith, I had an idea to share our story of giving with our school community. I put my idea into action by creating a video of the whole experience, from start to finish and shared it with all our students and staff on the last day before Christmas holidays. The impact was profound! Each person in the gym that day realized they each had an impact in helping the homeless at Christmas time. It brought our school community even closer together. I shared the video over the Christmas holidays on my eLearning site and many parents shared the impact that the video had on them. I realized that sharing our story within our small school community empowered my students and helped them to understand that their voice mattered and that their parents and peers were inspired by their actions. and our Give4ChristmasChallenge website to tell the story of our school’s tradition, and to challenge others throughout the world to share or start their own tradition of Christmas giving. My students wrote many emails to promote our website and leveraged Twitter to help spread our idea. The response was incredible. Within two short months thousands of people had visited our website from over 60 different countries and close to 40 different people shared what they did (or were going to start to do) to spread goodwill at Christmas. We were interviewed by a radio station in Budapest, Hungary and received many accolades from dignitaries and politicians, including Minister of Education Liz Sandals, Prime Minister Stephen Harper and Premier Kathleen Wynne. Our students were awe struck! They realized that their voices and actions mattered and with the positive, thoughtful use of technology, could Make A Difference in the world! Eureka!!! A #MADmindset was established in our classroom, and our collective, passionate desire to continue to make a difference was undeniable. In the new year our students began to go out of their way to find ways to make a difference in the lives of others. The impacts of their actions continued to be far reaching. We made One Word resolutions and worked to improve ourselves. My students created and shared their One Word video with the world, encouraging others to “Do Something” to make a positive difference in the world.To date their video has been viewed over 1300 times worldwide. Who’s nows the good that they have inspired? 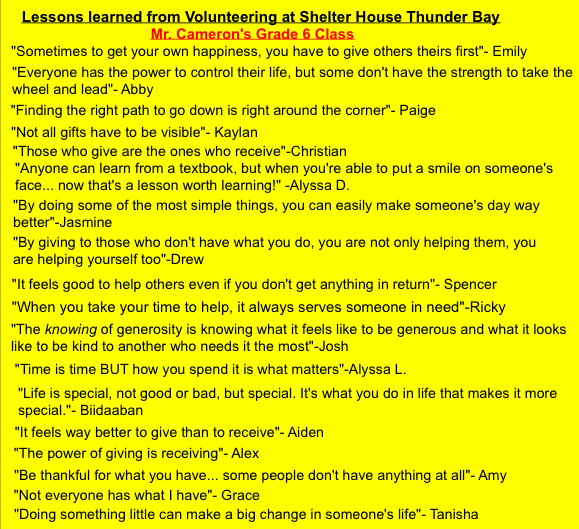 We also began to discuss how our classes could continue to make a difference in our community and we started to volunteer at our Shelter House making sandwiches and preparing soups, salads and desserts. As we continued to give, we also continued to learn many valuable lessons that could never be found in a textbook. Much of our learning began to evolve and revolve around the different projects we were involved in. Writing, reading, math… you name it… easily fit into our passion projects. 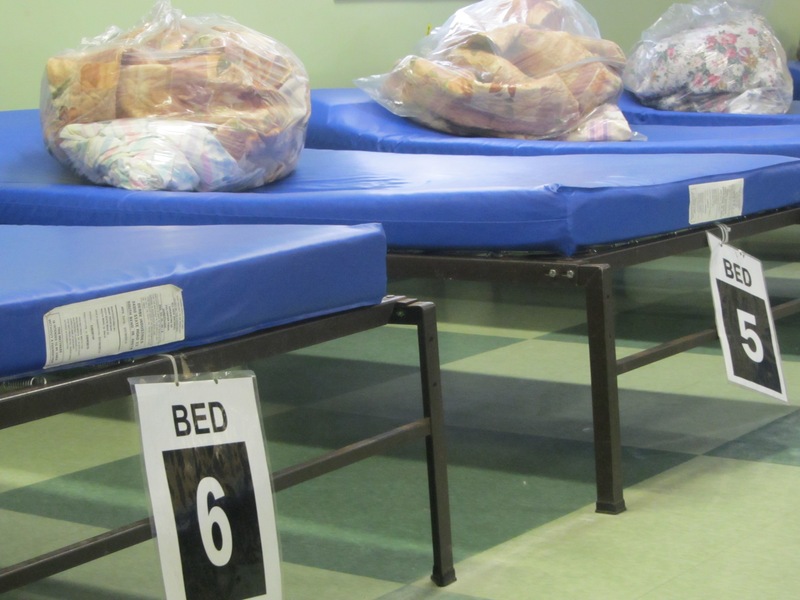 Our next big class M.A.D project came as result of volunteering at the Shelter House. My students were tasked with the job of emptying the coffee grounds out of the donated Keurig cups so the Shelter House staff could use them to serve coffee enmasse opposed to single serve cups. My students had emptied close to 800 of the non recyclable plastic cups and were ready to throw them in the garbage when I challenged them to bring them back to school so we might somehow repurpose them in our classroom. I’d like to use this example to model how we used the steps of our M.A.D Project to innovate to make a difference. RESEARCH: The K Cups sat in a large box in our classroom for a few weeks, we discussed what could be done with them and some students did research on the internet. We didn’t really have an idea yet but we continued to inquire as to how we might use these items in our classroom. Then one day a colleague informed me that the inventor of the Keurig cup, John Sylvan regretted inventing the item because of the environmental disaster it has created. My class read the CBC News story and listened to the As it Happens interview. We were intrigued! We took our large box of K Cups and figured out the volume of the amount of trash we saved from going to the landfill. We then estimated and measured the length of all the K Cups stacked together. From there many math questions ev olved and my students were incredibly engaged in the math they were doing. I began to see value in these “throw anyway items” and realized their incredible potential as an excellent manipulative for math learning. K Cups became a staple item in my math program and most of my lessons involved their use. Our desire and willingness to innovate and think outside the box (and text) allowed us to find an answer to our question and gave us an idea. IDEA: We had found an answer to our question; we were using the 1000 K Cups for math in our classroom and had made a (small) difference by not throwing them in the landfill but we wouldn’t stop there. John Sylvan’s interview had inspired us! Our idea was to encourage other classes throughout the world to repurpose K Cups as well. PLAN: Every idea needs a plan of action. How were we going to convince other classes to save K Cups? First, we decided that we would make a video to share how we use K Cups in the classroom as an incredibly powerful learning tool. We knew the video needed to be very catchy and include a song. We realized copyright would be an issue, so we created our own. Second, I agreed to share all of my lessons, letters to parents and posters for saving K Cups on our website to make it easy for teachers to begin saving and using them. Third, we wanted to encourage other teachers to share their ideas on our website as well. Finally, my students thought it would be motivating if we challenged other classes to GLOBAL tower stacking challenge at the end of the year. We also agreed that we’d continue to look for other ways to repurpose K Cups in our classroom throughout the year. We created many webpages. KCups4Classrooms is where all resources, letters, posters and lessons are shared. KCupsMathResourcePage was designed specifically to share my math lessons. K Cup Ideas for Classrooms gives a wealth of other ideas for repurposing K Cups in the classroom or at home. The K Cup Cup outlines the rules for the GLOBAL K Cup Tower Stacking Challenge and lists past participants and winners. Once we created our video and webpages our class leveraged Twitter to encourage others to give K Cups a try in their classrooms. We believe our actions have helped to save at least 30 000 K Cups from finding their way to the dump. We brought awareness to an environmental problem and perhaps, made learning easier and little more fun for students around the world. SHARE: My classes and I believe that our ideas and actions are only as good as the people we share them with. Our desire make a difference and use technology in positive ways has resulted in our webpages being visited thousands of times and our video being viewed by 2300+ people. My students’ initiative was feature in The Owl Magazine, CBC News and As it Happens. REFLECT: Reflection should occur throughout the course of a project. My class often discussed and refined ideas, read letters, emails and tweets and always tried to look at all sides of any issues that may have arisen. We reflected at the end of the year before they moved on to a different school. I have continued to use K Cups as a valuable tool in my classroom and present workshops on their use. I continue to share my lessons and look for other ways to use them (watch for Coding with K Cups)! Before my students left grade 6 for another school, I challenged each of them to continue to go M.A.D, out of which grew the M.A.D Challenge! This school year has been another incredible adventure. I continue to look outside of the pages of text and the walls of my classroom to bring authentic learning opportunities to my students. In the “With-Tech” Era, the options are endless! It has been a year of continued traditions, new ideas, innovations and differences being made! Here’s our idea: My class would like to share our M.A.D idea and resources with you in hopes that YOU and YOUR CLASS will go M.A.D! You probably already do!!! So please share or take another step, start another project or encourage your students to start their own Make A Difference project! In my experience, with students my age (grade 5/6) it is best to do a class M.A.D project first to model the steps QUESTION-RESEARCH-IDEA-PLAN-ACTION-SHARE-REFLECT before having students do one in pairs or individually. On the other hand, this could also be done as a school wide project. 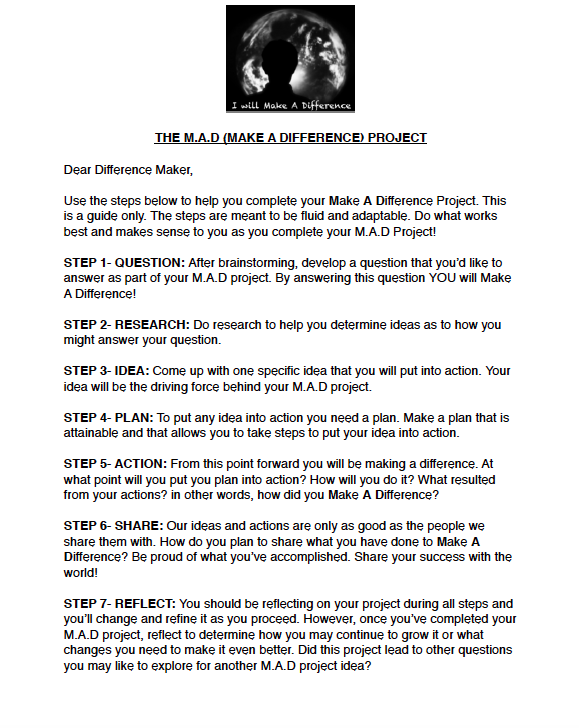 Downloadable lessons, the M.A.D journal and the M.A.D project step by step guidelines in PDF, Google Docs and SMART Notebook files can all be downloaded for free at my Make a Difference (MAD) Challenge webpage. My only request is that you leave a message on the page explaining what you, your class or school has done or plan to do to make a difference. Feel free to provide links, photos and videos. Inspire us and inspire the world! Help spread the #MADmindset! I’m SO delighted to find your web site! I teach sustainable happiness (well-being for all, sustainably) at Cape Breton University ). I’m convinced that we need forums for educators to share innovative teaching practices that assists all of us to grow and discover new ways of meeting our global learning needs. My hunch is that many of the ‘new pedagogies’ that are engaging students in real-world, project-based learning are contributing to sustainable happiness. (http://sustainablehappiness.ca/sh-extra/sustainable-happiness-and-20-time/). I’m looking forward to reading more of your posts! Hi Catherine! Your work sounds very interesting! I’ll check it out and share. Have you seen our ConnectED project https://mrcssharesease.wordpress.com/connected/ The goal/intent is to connect Faculty of Education profs and teacher candidates with classroom teachers and their students? Know any profs who might be interested?